Born and raised in Cincinnati, lived in Kentucky, New York, and Georgia, and now resides in California. Once an Office Manager with a Top Secret Clearance at General Electric, Carol now manages the Office for Central Coast Landmark Properties, a young Real Estate Brokerage that is hitting records in Sales year after year. 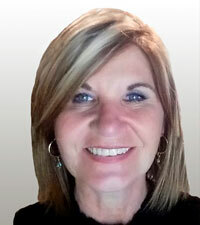 Carol has helped the agents in many cases close their deals by being and integral part of the team. Earning her Realtors license this year, Carol is now embarking on a new career to help her clients and friends, sell their properties and buy new properties, all while making the Real Estate transition a stress free experience. Her enthusiasm is contagious, and her sincerity builds confidence that she will guide you to a successful and easy sale or purchase. Carol is an active member in the community raising three children, two of which are currently in college, and one attends Solvang Middle School. She loves to run, hike, travel, and spend time with her family.